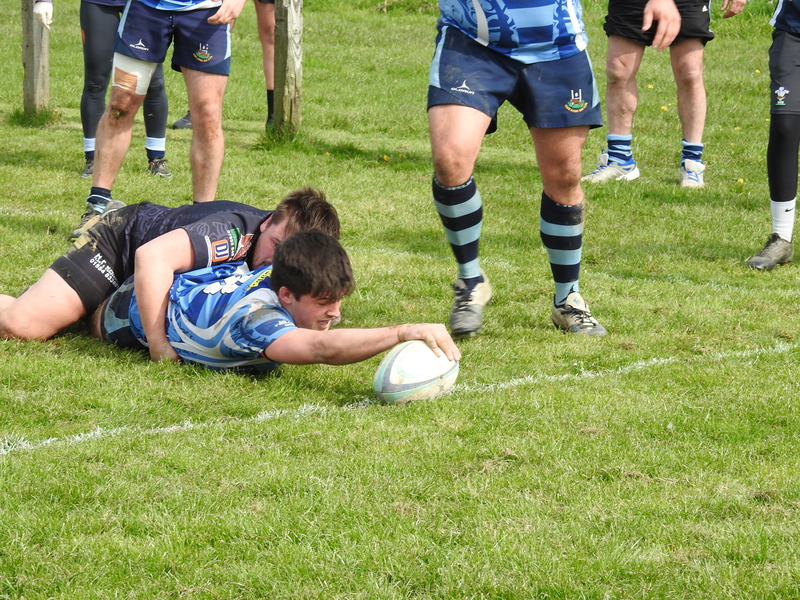 BURRY Port moved into fourth place in League 2 West on Saturday (Apr 6), as they beat St Clears 32-17. However, the Saints were well in the game until, in the final ten minutes, they conceded two tries in quick succession as the Blacks took advantage. If you saw the first twenty minutes you would have wondered who was at the bottom and who was mid table in the league; St Clears were absolutely dominant, but the failure to score was crucial and the first foray into the home side’s territory produced a try for the visitors, albeit a very good one with excellent handling skills from the dangerous visitors back division producing a touchdown in the corner for right wing Owen Thomas. End to end play was the subsequent pattern of play with both sides pushing for the next score with Saints number 8, Owain Stacey breaking the deadlock ten minutes later with his debut try for Saints, converted by captain Adam Phillips, to put the home side in front. 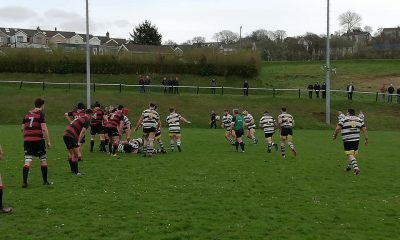 It was short lived however, with a penalty conceded by Saints ten minutes later, providing the impetus for the very effective visitor‘s back division to cross in the other corner allowing left wing Thomas Bowen to restore the lead for Port at the half time break with the score at 10 points to 7. In the second half a high tackle provided an easy penalty in front of the posts for Port’s number 10 Ben Williams and a very good kick from distance against a strong wind from Captain Phillips, thanks to the crossbar, maintained the score differential, only for an interception by Thomas Bowen to extend the lead once again with an unchallenged simple run in under the posts for his second try, which with the conversion, extended the lead to ten points. Five minutes later in this very evenly contested challenge, left wing Jonathan Gostling finished off good work to reward the territorial advantage enjoyed by the home side for a try which, with another good conversion from Phillips, produced the finely balanced score of 17-20. 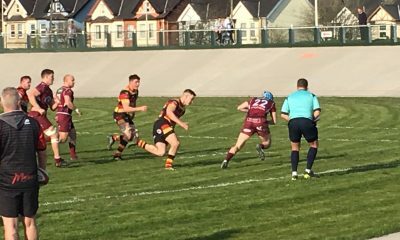 However, with ten minutes remaining, the Saints saw that narrow gap increased with two tries conceded far too easily taking the score to 17-32. It left the Saints gutted with what they saw as another unjust result. 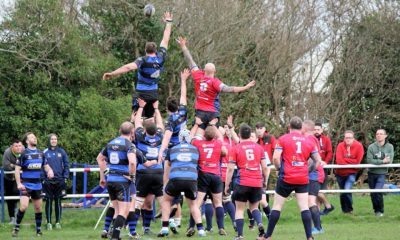 On Saturday (Apr 13), the Saints will look to bounce back as they travel to Mumbles while Burry Port will look to keep hold of fourth place as they travel to bottom side Tumble. 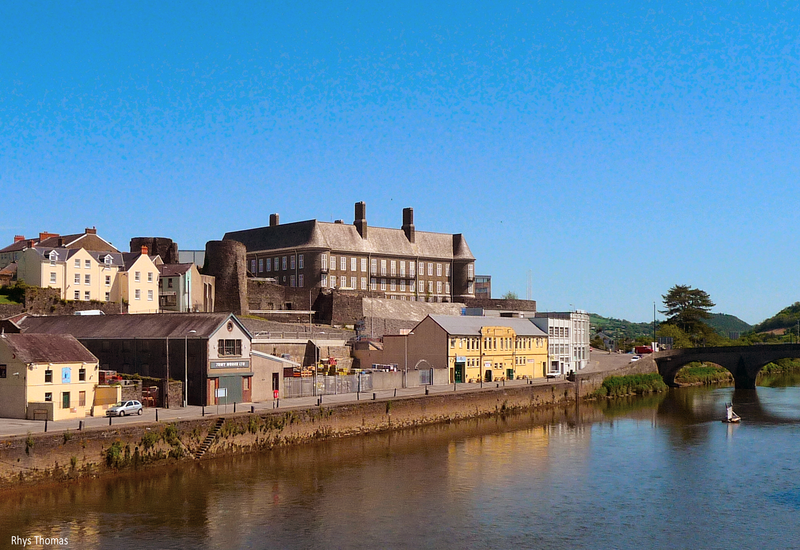 THE 38TH RUNNING of the Carmarthen Mayor’s Races returns to the town centre on May Day Bank Holiday, 6th of May. With less than a fortnight to go, online entries are now open and the whole family can get involved. The event, now organised under Noelwyn Daniel supported by Carmarthen Town Council along with many local organisations, was established by the Councillor Peter Hughes-Griffiths, in partnership with Dr Hedydd Davies, the International athlete who has represented his country many times. Taking place around Guildhall Square and Lammas Street, it has annually attracted over 800 runners between 3 and 80 years old every year. Supporting the event this year in a number of ways includes Stiwdio Box, G.D Harries & Sons, Rotary Club of Carmarthen, Merlin’s Walk, St.Catherine’s Walk, Charles B.Sams, Carmarthen Journal, JT Thomas, Mark Hopley Heating Services, Security 4 Wales, Mayor’s Charity Appeals Committee, WPS, Carl Morgan Building Surveyor, Spine & Sports Physio, Bowen & Weaving Ltd, Towy Works, Gwasanaethau Myrddin and Robert Lloyd PR Media Consultant. It has hosted 25 Welsh road race championships in conjunction within the race in the period 1982 to 2006 over various distances such as a Marathon, Half Marathon and 10km. 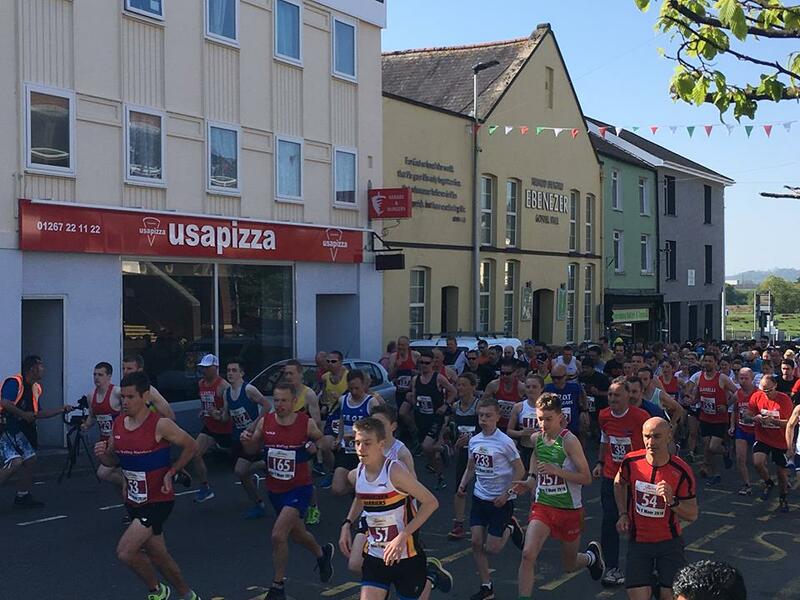 Carmarthen Mayor’s Races Fun Run, having gone from strength to strength, takes place in the heart of the town centre, affording great opportunities to cheer on the runners. The event raises thousands of pounds for charity with many local groups and organisations benefiting. 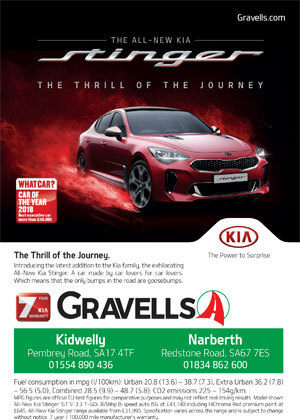 Proceeds in 2019 will go to Carmarthen Freshstart, Carmarthen Food Bank, Carmarthen Youth Opera and Talking Books Wales. A total of 238 runners took on the 5K challenge 12 months ago on the streets of the town with each one having their own reason to take part. The 2018 fun run was won overall by Amman Valley Harriers’ Rob Davies in a time of 17:15. He was followed in by Marc Davies of Swansea Harriers (17:53) and Liam Edwards from Carmarthen Harriers (18:15) to complete the top three. The women’s overall champion was local Harrier Wendy Price who took victory on the road in a time of 20:32. Meanwhile, children races were popular with Seren Bowen (Y Dderwen), Gwilym Rees (Nantgaredig), Libby Hale (Newton), Llion Davies (Y Dderwen), Carys Wood (Stepaside), Mared Jones (Y Dderwen), Liam Upton-Boorman (Johnstown), Amy Tucker (St John Lloyd) and Frank Morgan (Bro Myrddin) all coming out on top in their respective school year group. Race organiser and Triathlete Noelwyn Daniel from Healthy Life Activities urges fun run competitors to make a note of the race date in their diary. The same routes will be in place in 2019 as the last couple of years but including the 2018 course used for the 5K that took runners in the opposite direction to previous years which means you Finish by running up into Guildhall Square. Electronic Chip Timing will again be in use for the 5K. The day gets underway with the 3-lap Senior 5K fun run at 10.00am from opposite the bus station on Blue Street and is followed by a series of junior races over 2 laps of the route. The Year 1 and 2 will start proceedings at 11.00am before moving up to year 3 & 4 and year 5 & 6. Concluding the day will be a secondary school year 7 and 8 race and a chance for those 6 years and under in Nursery and Reception to run a lap of the course with their parents and families. As with all junior races, their reward will be their very own medal to take away as a finisher. The Mayor will be on hand to help start the races and present the awards throughout the day. There’ll be trophies for the top 3 in each age group (except Nursery and Reception) as well as the following awards in the main 5K race: Males under 40, V40+, V50+, V60+, Females under 35, V35+, V45+, V55+, Best Fancy Dress, Males/Females in School Years 9 to 11 and 1st Relay Team. Closing Date for Postal entries is Sunday 28th April 2019. 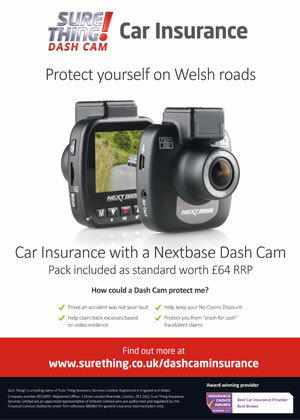 Forms and cheques to be sent to: Carmarthen Town Council, St Peter’s Civic Hall, Nott Square, Carmarthen, SA31 1PG. Cheques payable to Carmarthen Fun Run. 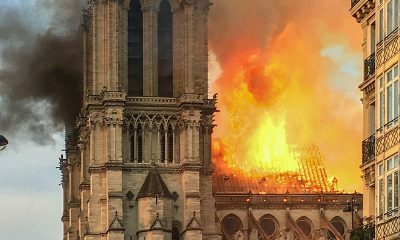 St Peter’s Hall will be open from 8.00am on May 6th for those entering on the day. Please check out the start times of the races and ensure that you arrive in plenty of time to register and get to the start line on time. Please try and bring the correct entry fee to Registration. There will be signs above each table indicating the Race Category. 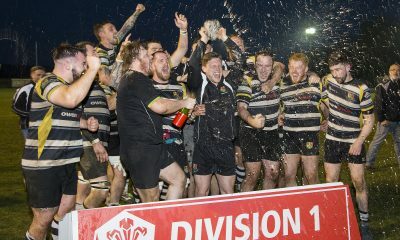 ON Wednesday (Apr 17), Felinfoel celebrated their second successive League 1 West title win as they beat Llanelli Wanderers 33-14. Llanelli took the lead early on though as Rhydian Morgan scored a penalty. Felinfoel though hit back with two penalties of their own scored by Aled Roberts. Rhydian Morgan then scored his second penalty to level the scores at 6-6. 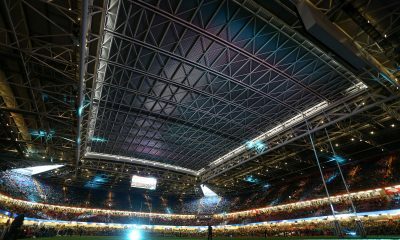 The home side then scored their first try of the night but the conversion was missed. Shortly before the break Morgan completed his hat trick of penalties for the Wanderers to make it 11-9 at half time. The Wanderers were keen to give the Champions a good game and early in the second half they went ahead as Lloyd Thomas touched down but the conversion was missed. That gave the visitors as 11-14 lead but it was then that Felinfoel took control of the game. They regained the lead shortly after with an unconverted try to take them two points ahead. Felinfoel then scored a second unconverted try to make the score 21-14. 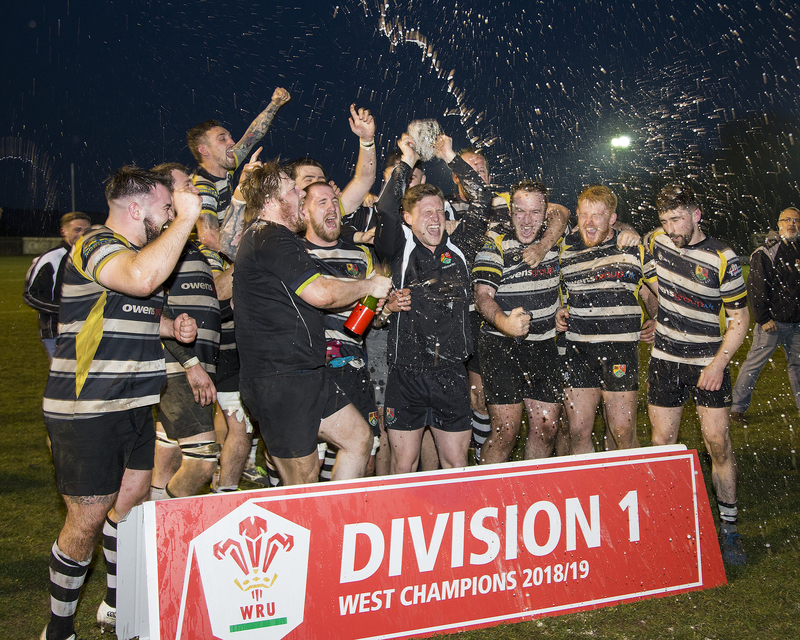 The champions then all but secured their eighteenth victory with their fourth try to earn another bonus point and the conversion from Roberts made it 28-14. There was still time for one more try for the home side and the missed conversion left the score at 33-14. Leon Randell scored two tries for the home side with others coming from Elliot Dawe, Jason Frater and Rhys Evans. 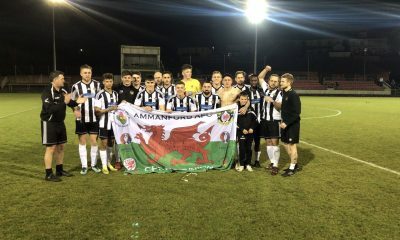 After the game Felinfoel received the league trophy and the celebrations began. Felinfoel now wait to see who they will play in the two-leg Championship play-off. 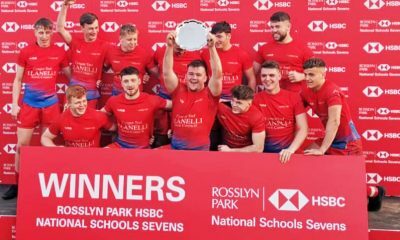 Mike King, Felinfoel RFC Head Coach told the Herald: “It’s a great achievement from everyone involved in the club. “Credit has to go to the players and support staff, who without their buy in to what I wanted to achieve this would not have been impossible. “The whole club is aligned and the continued success of the Junior structure and Youth set up has allowed us to bring in to the first team system some younger, talented players to ensure the continued success of the club. 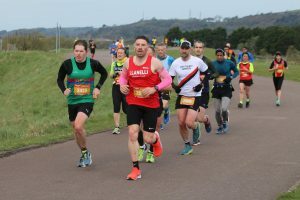 THE Great Welsh Marathon took place in Llanelli on Sunday (Apr 14), with over 1100 athletes taking part across two races. 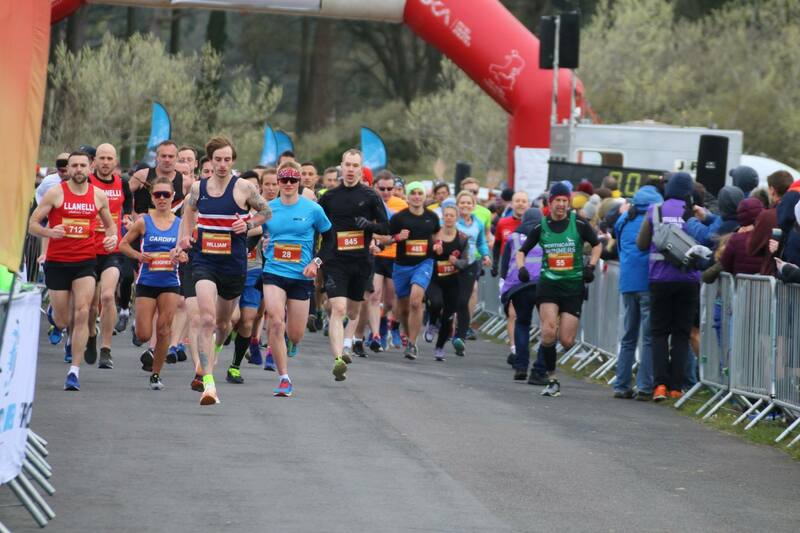 The third edition of the Great Welsh Marathon & Half Marathon organised by Front Runner Events was hailed an overwhelming success, with a record number of runners taking on both sold-out races. 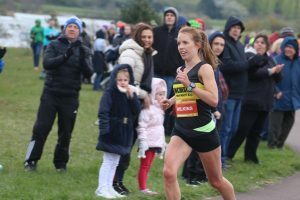 Despite the windy Welsh weather, the runners taking on this year’s race were supported by hundreds of volunteers who turned out in their numbers to cheer the athletes. 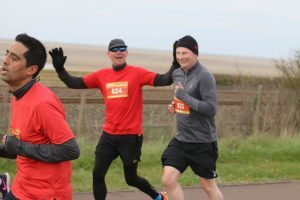 The event has almost doubled in size since 2018 and included many first timers, charity runners and club runners. This year, the race also welcomed the largest international field so far, with over 15 nationalities represented, with some travelling as far as Australia, India, and the USA. Although the Llanelli coast may not have the tropical climate of California or Perth but it certainly has it’s own Welsh charm and stunning coastline. One runner commented: “My friends and I thoroughly enjoyed the race, it was challenging but brilliant. My friends travelled over from San Francisco to visit and take part in the race. Local running clubs provided a team of race pacers helping many runners achieve their personal best’s and hitting their target time on the day. The fully marshalled race took place on the Millennium coastal path, included Brecon Carreg water stations, energy gel stops, bespoke medal, a technical finisher t-shirt and goody bag for all race finishers. Runners were also able to benefit from a much-needed pre or post-race massage provided by Gower College Swansea. 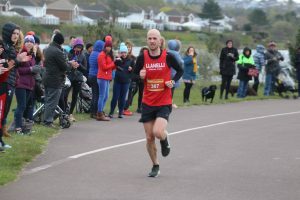 Both the full and half marathon started at Festival Fields, Llanelli before heading out to Burry Port, where the runners turned and headed back along the Millennium Coastal Path to Machynys and then back to Festival Fields. General feedback has been fantastic, as runners took to social media to share their successes and photos with friends. The race, which was a regarded as a complete success saw lots of personal best times achieved, with the top 3 male half marathon course records beaten and most notably; the women’s first place half marathon winner shaved an impressive 12 minutes off last years record. 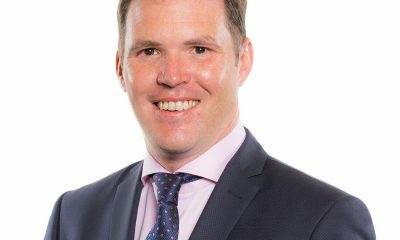 Race Director, David Martin-Jewell said: “The Great Welsh Marathon and Half Marathon has grown in its size and stature since we took it over in late 2016, we are thankful to the local runners who continue to support us across all of our races, however it has been fantastic to see the number on international runners travelling to Carmarthenshire to take on the Great Welsh races. “We have a strong team of Sector Heads and volunteers who continue to assist us at each of our events, without them, we would not be able to hold such successful events so we would like to thank them for their help and support. 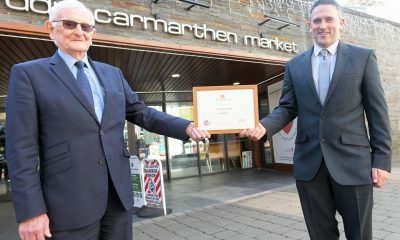 The event was supported by a number of local businesses, event delivery partners and also received backing from Carmarthenshire County Council Event Support Grant in 2019. The 2020 Great Welsh Full and Half Marathon will take place on Sunday, April 5, 2020, and will have a NEW route starting and finishing in the magnificent Pembrey Country Park. 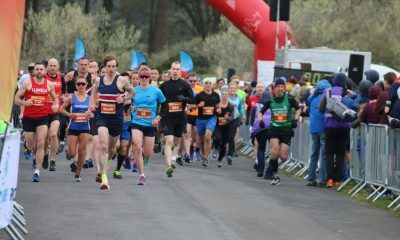 Further details and full race results can be found on the website, and you can also keep up to date with news and see the latest photos by liking the Facebook page: www.facebook.com/GreatWelshMarathon or follow @WelshMarathon #RunCymru #WalesLovesRunning on Twitter. 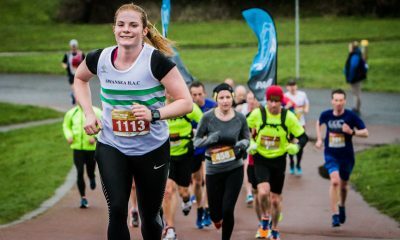 If you are inspired by the Great Welsh Marathon and Half Marathon, why not sign up to the 2019 JCP Swansea Half Marathon which takes place on Sunday, June 23.